We are a community of dreamers and do'ers. Join us! Learn about Things to Do in our Region! See all there is to experience in Downeast & Acadia, Maine - start in Eastport! Ready to take the next step? You can become a member of the EACC in two easy steps. Looking for a vacation spot this summer? 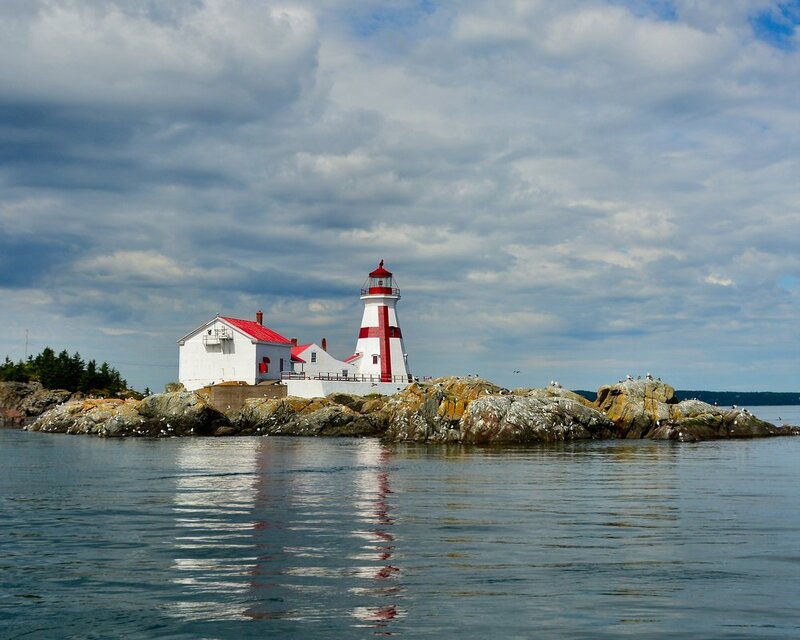 If you want someplace different, not too far away, just waiting for you to discover it, then come to Eastport, Maine, at the northern end of the coast and just across the bay from New Brunswick, Canada. Eastport has a lot to offer visitors, with places and events and activities to appeal to history buffs, painters, whale-watchers, and families who want a great holiday in beautiful surroundings. Our festivals celebrate springtime, bird-watching, the Fourth of July, Passamaquoddy Tribal history and culture, pirate fun, salmon and a one-of-a-kind international New Year’s Eve. Water Street boasts a variety of shopping to suit all tastes and budgets, and many of our restaurants feature locally-caught seafood. The walkable downtown includes 29 buildings on the National Historic Register, the unique architecture making a nice contrast with the breathtaking vistas of sea and islands. Down East Sunrise Trail Relay, July 20-21. For more information or to sign up, see Crow Athletics. Eastport Bay Day, second weekend in August. Find out about our members, our region and things to see and do.